There are many Irish Halloween traditions in Ireland. One of my favorites is barmbrack. Barmbrack is at the very core of the Irish Halloween traditions. The Halloween Brack, much like Christmas pudding traditionally contained various objects baked into the sweet bread. These various items were used as fortune-telling. In the barmbrack items like a pea, a stick, a piece of cloth, a small coin (originally a silver sixpence) and a ring were traditionally used. When an item is received in the slice, had a meaning for that person. For instance if you got the pea, the person would not marry that year, the stick, you’ll have an unhappy marriage , the cloth or rag meant bad luck or you’ll be poor; the coin of course meant you’ll have good fortune or be rich and the ring, meant you would be wed within the year. Other items also added to the brack were medals, usually of the Virgin Mary to symbolize going into the priesthood or becoming a nun, although this tradition isn’t very popular today. In a small bowl, whisk the yeast and milk together. Leave it to bubble slowly in a warm spot 10 minutes, then whisk in the beaten egg. In a large mixing bowl or the bowl of a stand mixer, put the flour, cinnamon, clove, mace, salt, butter and sugar. Mix well, incorporating butter with fingertips (or paddle, if using mixer) until absorbed. Pour the yeast-milk-egg mixture into the flour mixture and stir with a wooden spoon (or dough hook, with mixer). When the dough begins to come together, add the raisins, currants, lemon zest and orange zest, then mix to combine. It will be somewhat sticky dough. Dust lightly with flour, turn out onto a floured surface and knead for a few minutes until the dough feels smooth. Pat dough into a rectangle. Butter a loaf pan and lay in the dough, pushing down so dough covers bottom of pan. Stretch plastic wrap loosely over pan and put in a warm place, covered with a kitchen towel, for about an hour, until doubled in size. Uncover. The púca (Irish for spirit/ghost), pooka, phouka, phooka, phooca, puca or púka is primarily a creature of Celtic folklore. Considered to be bringers both of good and bad fortune, they could either help or hinder rural and marine communities.The Púca can have dark or staunch white fur or hair. The creatures were said to be shape changers which could take the appearance of horses, goats, cats, dogs, and hares. They may also take a human form, which includes various animal features, such as ears or a tail. The NACTA is a Celtic buying group that works with its vendor members to provide its retail membership base with “special deals and exclusive products” as well as “networking with fellow retailers as one of the most valuable benefits of membership.” The “NACTA’s mission is to facilitate communication among businesses involved in Celtic retailing in the USA and Canada and to develop and implement programs of value to its members.” According to the NACTA organization’s website. To celebrate The Irish Jewelry Company’s partnership with NACTA The Irish Jewelry Company’s wholesale division is currently offering an Exclusive Savings of 10% to the NACTA Retail Members. For more information on obtaining this exclusive NACTA membership promotion code for this valuable savings please contact the NACTA at info@celticbuyers.com or The Irish Jewelry Company at info@theirishjewelrycompany.com . 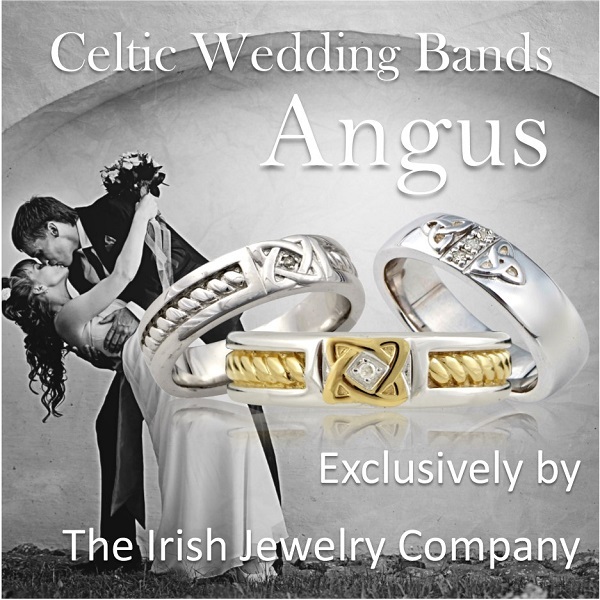 To learn more about The Irish Jewelry Company please visit their website www.TheIrishJewelryComapny.com or email them at info@TheIrIshJewelrycompany.com . Ireland is a magical country, filled with tradition and folklore dating back many years. Christmas in Ireland is an especially magical time of year. Many Irish Christmas traditions have become part of the Christmas celebration of many nationalities and have made their way into main stream American Christmas customs. In Ireland people say “Nollaig Shona Duit” pronounced NO-Lihg HO-nuh ghwich. This Irish Christmas greeting literally translates to Happy Christmas. One beloved Irish Christmas tradition is that of the Christmas plum pudding. The traditional Irish Christmas plum pudding has had humble beginnings. Plum pudding was originally a porridge flavored with scraps of leftover meat or fish, thickened with bread crumbs and bound together with eggs, fruit and spices. During the Tudor and Stuart period in England, dried prunes were added to the pudding mixture which became known as a plum porridge. Eventually becoming called plum pudding and often eaten with Brandy Butter Sauce. Another very common Christmas custom in Ireland is the candle window. The placing of a lighted candle in the window of a house on Christmas Eve is still practiced today and has become an American Christmas tradition as well. The candle in the window has a number of purposes. One of its primary meanings is as a welcoming symbol to Mary and Joseph as they traveled looking for shelter. The candle also indicated a safe place for Catholic priests to perform mass during the penal times when Catholic masses were not allowed. Another part of the tradition is the candle should be lit by the youngest member of the family and should only be extinguished by a girl bearing the name Mary. In Ireland celebrating the Feast Day of St. Stephen’s is usually accompanied with the Wren Boy Procession. Saint Stephen’s Day celebrated on December 26th, also know as the Day of the Wren is a national holiday in Ireland. During Penal times there was a plot in a village against the local soldiers. The soldiers were surrounded and about to be ambushed when a flock of wrens pecked on their drums and awakened them in time to defend themselves. The plot failed and the wren became known as the “Devil’s Bird”. On Saint Stephen’s Day a procession takes place where pole with a holly bush is carried from house to house and families dress up in old clothes with blackened faces. In olden days an actual wren bird was killed and placed on the pole. This custom has largely disappeared but the tradition of visiting from house to house on St. Stephen’s has survived and is a large part of the Irish Christmas celebration today. Last but not least a fabulous Irish Christmas tradition that hasn’t made its way to the states is called “Women’s Christmas”. In Ireland on January 6th, the Feast of the Epiphany, is when traditionally the Irish finish celebrating Christmas. It is also known as “Nollaigh na mBean” in Irish or “Women’s Christmas”. Tradition has it that women get the day off and the men of the house get to do the housework, cooking and take down the Christmas decorations. Women meet up to go have a day out and treat themselves. Have you ever celebrated “Women’s Christmas”? via Irish Christmas Traditions and Customs. 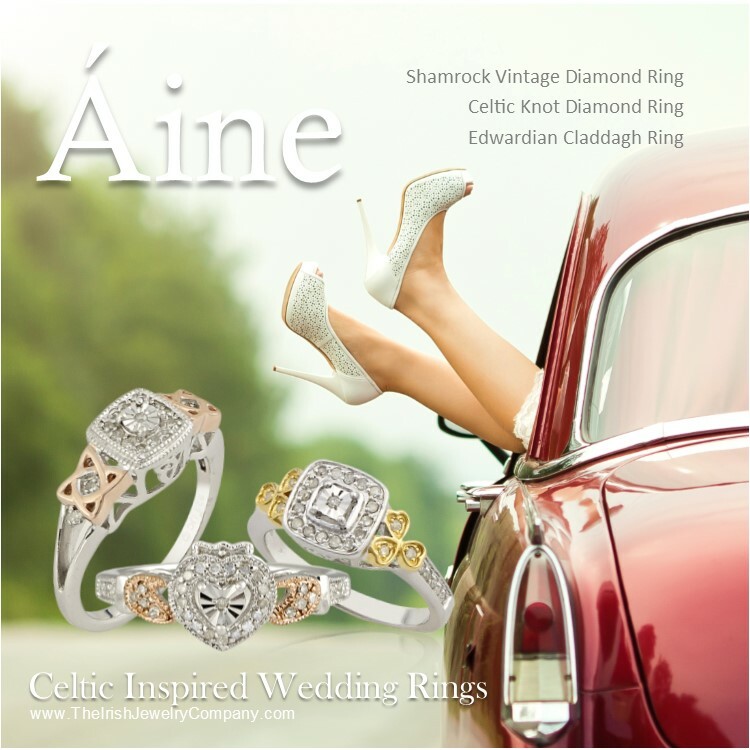 Check out our Celtic Gift Guide Feature in Celtic Life Int. Magazine! The December edition of Celtic Life International Magazine brings new meaning to the old adage tha t you can only keep what you have when you give it away. Check out our cover story on the Gift of Giving during the holiday season, learn about Belfast’s ‘Black Santa’, enjoy feature articles on Canadian astronaut Chris Hadfield, Outlander’s Gillebride MacMillan, Scottish actress Mhairi Calvey, Stuart McLean & The Vinyl Cafe, and more! As well, our award-winning photo-journalist Tom Langlands explores the great Celtic nation of Galicia, and be sure to stock up on stocking-stuffers with our annual Celtic Gift Guide! As always, we’re stuffed like a Christmas Turkey with news, views, reviews, recipes, fashion, culture, history, heritage, tradition & more. The Celtic Mothers Knot …. This unassuming stylized holy trinity with a parent and child embrace is representative of the Madonna and child. Combined with a Celtic trinity knot it is a true testament to the enduring bond between a mother, her child, faith and their Celtic heritage. 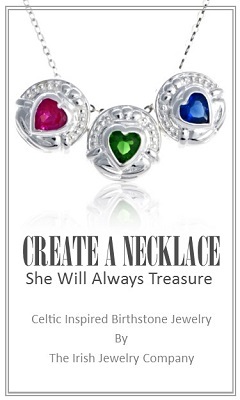 Our Celtic Mothers Knot pendant measures approximately 20mm long. It is sterling silver and bright polished. The Celtic Mother’s Knot comes on a light weight 18 inch cable chain in sterling silver. 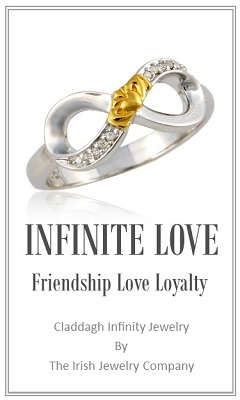 Available in 14k yellow or white gold and a light weight gold chain. 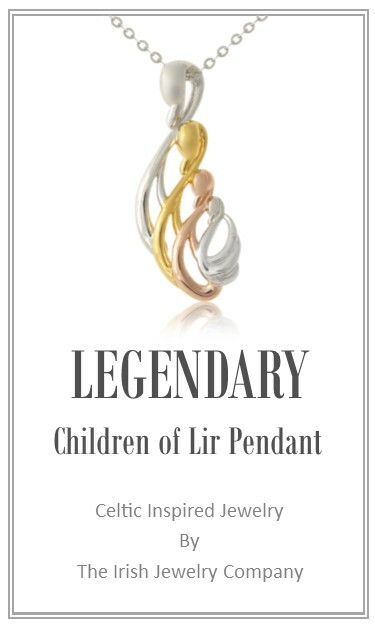 The gold pendant measures approximately 16mm. Special Order item please allow 1-2 weeks extra for delivery. Every jewelry gift from The Irish Jewelry Company comes gift wrapped in our signature style, a simple white glossy gift box sealed with a satin emerald green ribbon and our gold label. Included at no additional charge is an Irish Blessing, toast or story card. If this is a gift included at no additional charge is a card for the recipient, hand written for that extra personal touch. Standard International Shipping: Order by Dec. 11th. 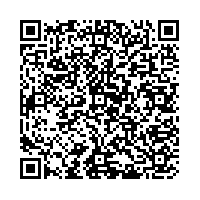 Pickup service available for air and international shipments if prearranged by Tuesday, Dec. 23. UPS On-Call Pickup service and UPS Drop Boxes are available to all customers for air and international shipments. * No UPS Ground, UPS Standard or 3 Day Select pickups until Friday, Dec. 26. The Halloween bonfire is a tradition to encourage dreams of who your future husband or wife is going to be. The idea was to drop a cutting of your hair into the burning embers and then dream of you future loved one. Halloween was one of the Celt ‘fire’ celebrations.